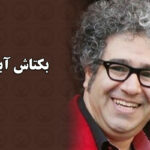 Human Rights Activists News Agency (HRANA) – Bektash Abtin, a poet, filmmaker, and former board member of the Iranian Writers Guild, was fined $1,200 USD (5 million IRR) on a charge of “propaganda against the regime” for a photo he posted on Instagram in 2016. The above order is an appeal of his June sentencing, in Branch 2 of the Revolutionary Court of Karaj, to three months of forced labor in the State Welfare Office in addition to the 5 million IRR fine. When police raided a memorial service at Imamzadeh Saleh shrine in Karaj in November 2016, Abtin snapped a photo of his comrade’s injuries and published it to Instagram. 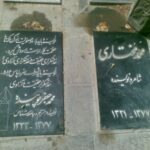 The service was intended to commemorate writers Mohammad Mokhtari and Mohammad Jafar Pouyandeh, victims of serial murders in December 1998 that were suspected to be the work of Iranian government operatives. Security forces stormed the memorial service, which quickly devolved into a violent clash. In attempts to protect 75-year-old civilian Fatemeh Sarhadizadeh from harm, Mazdak Zarafshan sustained severe injuries to his face. Abtin, Zarafshan, and a number of fellow attendees–including Mohammad Mehdipour, Naser Zarafshan, and Reza Akvaniyan–were subsequently taken into custody. 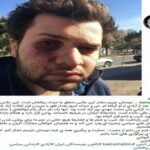 After his release, Abtin published photographic evidence of Zarafshan’s injuries to his social media account, inciting Karaj prosecutors to accuse him of “propaganda against the regime” and open up a case file against him. This is not the first entry on Abtin’s rap sheet. Pursuant to a lawsuit from fellow writer and Writer’s Guild board member Reza Khandan Mahabadi, Abtin was previously charged with “propaganda against the regime” and “publishing an illegal journal”. At the time of Mahabadi’s accusations against him, security forces stormed both of their homes and confiscated their personal property. In 2015, Abtin was interrogated for three consecutive days by intelligence officers, who reportedly drilled him about his films, his membership in the Iranian Writers Guild, and his participation in the 2009 post-election protests. 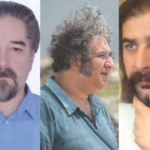 HRANA News Agency – On December 4, Mazdak Zarafshan and Bektash Abtin who had been arrested during the anniversary of the victims of serial murders, were released on the bail. 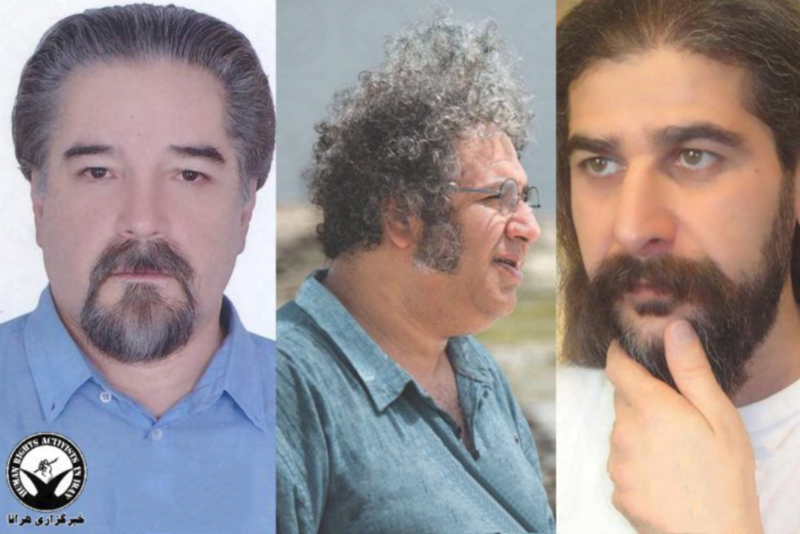 HRANA News Agency – According to the reports the anniversary of Mohammad Mokhtari and Mohammadjafar Poyandeh, the victims of serial murders, has been along with violence by the security forces and at least two persons remain in detention.